Manila is at the midpoint of the eastern shoreline of Manila Bay, which it shares with the other fifteen cities that make up the Manila Metro. The capital city of the Philippines is Number 15 in the highest recorded population density in the world. The climate is tropical savannah bordering on tropical monsoon. Rain falls regularly from December through to May. English is the lingua franca, and is spoken in business, education, and social interaction. School education follows a three-tier model, with pride of place taken by the pilot Manila Science High School, and the city-owned University of Manila and Universidad De Manila. Elsewhere in the University Belt are the state-controlled University of the Philippines Manila, the Polytechnic University of the Philippines, and the Manila Central University. Two seats of higher learning provide advanced dental training. The College of Dentistry of the Manila Central University dates from 1929, and offers a doctorate of dental medicine and a dental hygiene course with clinical training. 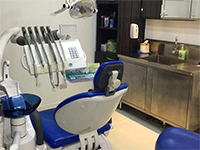 The Private University of the East provides pre-dentistry diplomas, masters in periodontics, endododontics, orthodontics and prosthodontics, and a doctorate of dental medicine. This ensures a steady flow of dental practitioners willing and able to attend to the needs of the most discerning dental tourist. The Board of Dentistry administers licensing of dental practitioners on behalf of the Professional Regulation Commission. This helps ensure that Manila dentists train to the highest professional levels and maintain ethical standards. 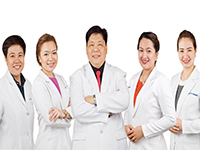 Americans and Australians flock to Manila to receive implants, crown work and elective surgery. This costs surprisingly little on foreign exchange cross rates. 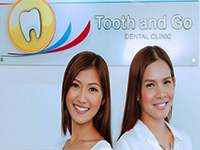 Dental Travel Services provides advice to visitors seeking bespoke dental care in Manila. 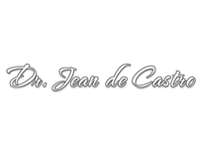 We have a pre-approved network of English-speaking dental surgeons eager to assist with porcelain veneers and all other forms of dental treatment. When you click the links provided you open a page that has all the information you require. Manila's Ninoy Aquino International Airport (MNL) is the main entry point for visitors flying in. It links seamlessly to the metro light rail transport system, which in turn connects to hire cars, public transport and taxi services. Should you arrive late at night, the Manila Airport Hotel is at your service. The Ermita and Malate districts are Manila’s nightlife hotspots, featuring casinos, cultural exhibits, discotheques and chic cafes. A network of tourist hotels and shopping centers serves every need of modern Western tourists, who find bargains while shopping with their strong currencies. 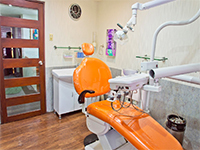 With government support for dental tourism reaching new heights, Manila surely is the place to be for international dental treatments. Dental Travel Services offers a unique service to inbound dental patients, who may also wish to visit leading tourist attractions - and perhaps be part of one of the annual fiestas. We are able to assist with all dental and travel arrangements. This helps ensure your visit goes off seamlessly. We are here to help in any way we can. The Ninoy Aquino International Airport (MNL) is the only international airport in the city and serves several domestic and international destinations. Manila is the hub of the Philippine ferry network with the Manila South Harbour its main passenger seaport. Jeepney - a hybrid of the jeep and the minivan, this is the most preferred public mode of transportation for short haul traveling within the city. The Light Rail Transit serves several areas in the city on its elevated railway and is the fastest way to get around. Motorcycles, known as tricycles, these are motorbikes with sidecars for hire in residential areas of the city. The Calesa - horse-drawn carriages are still being used in the city, mainly for sightseeing along cultural streets and areas such as those in Ermita, Intramuros, and Binondo. Several taxi companies abound in the city, mainly serving business districts and several bus companies operate within the city and outlying areas. City of Intramuros - A popular tourist destination and the best example of Spanish architecture and heritage in the city, the walled city has a Fort, a famous church, and plenty of historical monuments that provide the best way to learn about the Spanish occupation. Basilica Minore de San Sebastian, noted for its architectural style, it is the only all-steel church in all of Asia. Using Gothic style and finished in 1891, this church was part of a tentative list to become a World Heritage Site. Rizal Park, covering 140 acres, Rizal Park is also the country's national park, housing several structures such as the National Museum of the Philippines, the National Library, the Planetarium, the Quirino Grandstand, the Manila Ocean Park, the Chinese and Japanese Gardens, and plenty of other monuments. As the exclusive address implies, this is karaoke of the upper-crust variety. It may not be an authentic Pinoy karaoke experience but man is it fun, and the prices are actually reasonable. Grab a few friends and colleagues and head over to Red Box. Cafe Ilang-Ilang is prefect for everything from business meetings to family dinners. Cafe Ilang-Ilang has a wide range of food that ranges from all over the world. The dessert section is also fantastic. For a great mix of local and international cuisine head over to 1166 Bistro & Bar (formerly known as Cafe Arquiza), it’s best known for its breakfast selection. The Philippine Peso is the currency of Philippines.